To create a calendar category go to your “Dashboard” then “Stachethemes Event Calendar” and click “Calendars” from the menu. 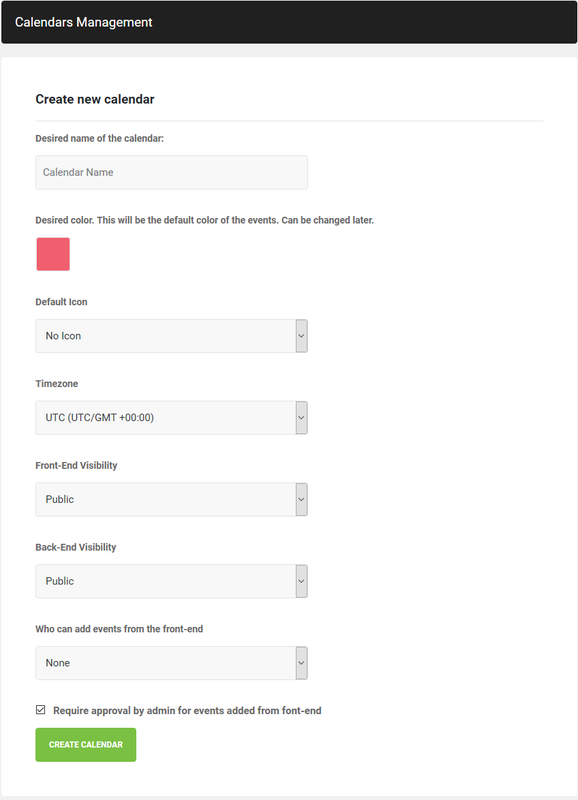 Fill Calendar Name, Color, Timezone and Visibility (public or private) and click on “Create Calendar” button. A new calendar should appear under “List with your created calendars”.